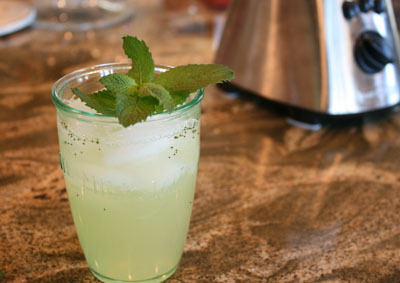 My brother Jeff recently visited the country of Jordan and was introduced to a lemon juice drink speckled with mint. 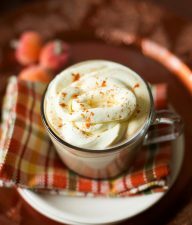 It’s considered a sipping drink as it’s pretty strong and flavorful. He loved it so much that he came up with his own recipe for Mint Lemonade and he’s sharing it with all of us. First, prepare your mint. My brother likes to de-vein the mint leaf, so it doesn’t taste too earthy, then dices it up super fine. Then squeeze your fresh lemons. 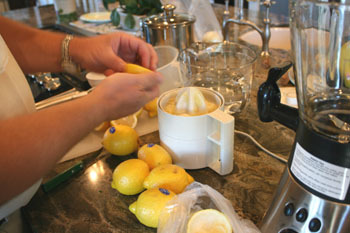 I highly suggest an automatic lemon squeezer, making the process of squeezing 10 lemons a snap. Then add your water and sugar and blend. I love these blenders with spouts, I’m going to have to get one as I’ll be making this tasty drink a lot. Now start sipping! The blend of lemon and mint is delicious. I also love the green flecks of mint that come out. You can strain the mint if you don’t want it to show up, but I think it makes the drink all the more fancy. This is one of my new favorite drinks. I love all things sour and this lemony drink fits right in. Thanks, Jeff, for sharing your yummy creation. I also was just in Jordan and Egypt and fell in love with this drink. I also found a recipe that uses the concentrate when you are in a bind. I cannot wait to try it out! I made this twice last week. The first time I used a few ice cubes and it made a delicious slush. The second time I dumped in far too much spearmint from the garden and it tasted like gum water! (My parents only bought Spearmint gum!) Thanks for an awesome recipe. Do you recommend using spearmint or peppermint (obviously in limited quantities!)? 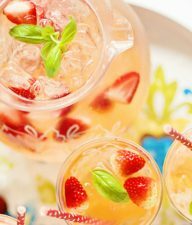 Just made this – gorgeous – nice and refreshing for the summer months. Thanks for sharing! hahahahaha. dad has been waiting for this post! hes gonna love it! so funny! YUm… that looks refreshing and so yummy. 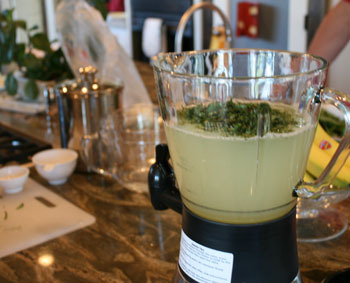 we like to put basil in our lemonade just crushed up and it gives it a slight taste of basil… the kids really like it. 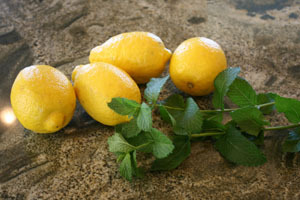 Mmm must try, I love mint and lemonade, and what a beautiful kitchen they have! From what I’ve seen, Jeff does help out in the kitchen. Am I right, Jenna (his wife)? Glad to know this drink is popular all over the Middle East. It’s now popular at my house. That looks SO delicious! It has been hot enough here that it feels like we’re in Jordan! After a hot day under some especially cruel cross-examination, that drink could be just the ticket. 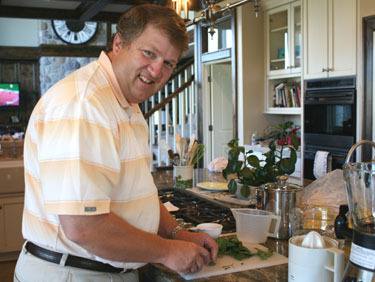 Hope to see Jeff on the Cooking Channel with some of that backyard bar-b-que soon. I make something similar for parties but, instead of water, I use ginger ale to taste. 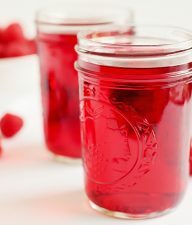 It’s so refreshing, especially on hot days, and is always a crowd pleaser! Our family is Moroccan and we make something similar. It is also good with ice added to the blender like a slushie. They serve a lot of this in India too. We love drinking this on hot days. My husband likes to add a dash of salt. They serve that a lot here in Israel as well. Great drink! 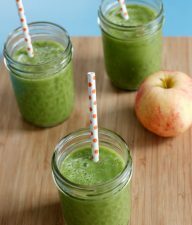 I will have to try this one it looks so refreshing! It’s nice to see a man who knows his way around a kitchen. Good job on this drink!